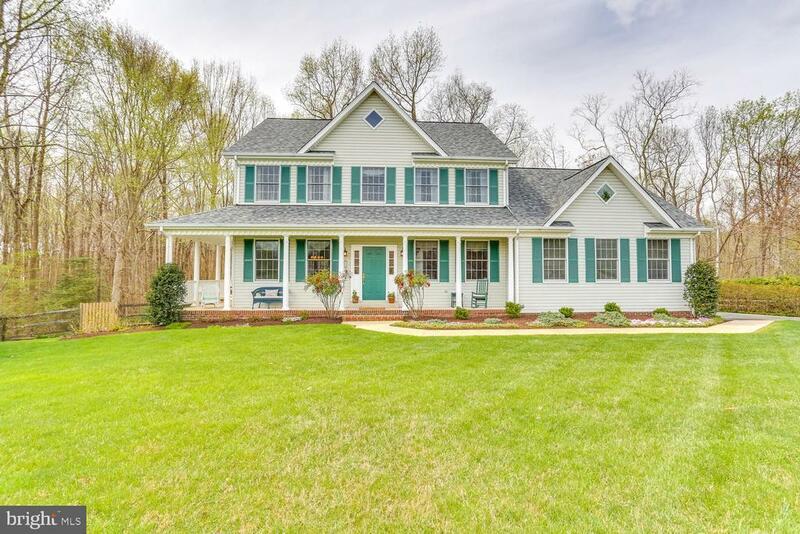 Beautiful, custom built home, exceptionally maintained with updates throughout. It has 9 ceilings on first floor, hardwood flooring and custom kitchen, crown molding in all main level rooms with chair rail in dining room and foyer. Kitchen has stainless steel appliances with granite counter tops and hickory cabinets. The finished basement has an in-law suite which includes a sitting room, large bedroom, full bath, and kitchenette. Unfinished part of basement has been renovated into a huge workshop. Large deck overlooking in-ground lap pool measuring 12 x 50 with fenced in backyard. Over 2700 sq ft on first floor with over 1000 sq ft finished in basement. Tax record does not reflect true square footage. This is a MUST SEE - will not last long! See attached for all the renovations and updates. Directions: Route 6 east from La Plata. Go about 10 miles and turn Right onto Penns Hill Rd. Turn Right onto Adrian Lane, then Left onto Bridget and then Right onto Clara. House is on the left.